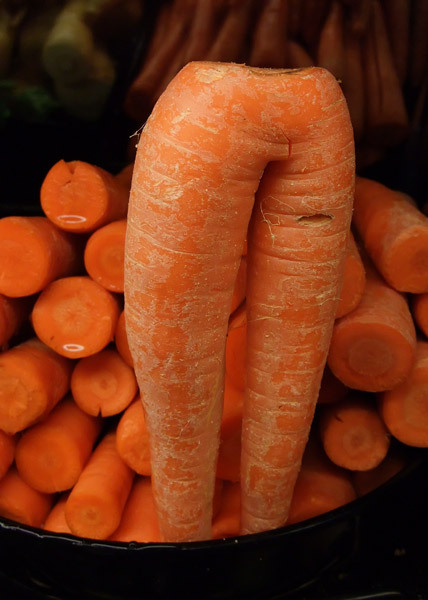 So this is why they call them carrot pants!! I was wondering about the name, it all makes sense now. Is the carrot pant the new harem pant? When I first saw this trend, I was not sure if I liked it or not. As with every trend it's not until I see it on real woman that I truly decide if I will wear it or not. All the trends look so good on the models in all the magazines and on the websites. That does not mean it will look good on all us curvy gals. I must admit when I saw this weeks friends wearing carrot pants, it changed my mind. These lovely ladies are rockin the carrot pants making me want to go try on a pair. You can dress them up or wear them on a casual Friday night. So what do you think of carrot pants? Will you wear them, or you gonna leave the carrots for bugs bunny? Thank You to the lovely models Sakina, BBM & Jill for allowing me to use their pictures this week. All the ladies look fab in their carrot pants. *sigh* maybe I'll try them, in a fitting room and see how I like them. I may have to leave them with bugs bunny or these 3 ladies! & I'm glad you found the pic of the literal "Carrot" pants cause I was wondering too! saks looks so good in them, it made me go to LB and try them on. yeah, they didn't look so hot on me but i love them LOL. i'm glad to see so many fatshionistas trying them out tho. i love the silhouette! Are carrot pants just peg leg trousers? I must admit I've never heard of the term before! 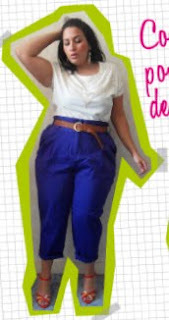 I love how they look on, so even though I'm a trouserphobe I may have to try on a pair. They are so hard to wear but look fab on your friends!! Thanks for including me on this post with two beautiful ladies!